My wife, Stacey, and I enter into our third year of marriage tomorrow, February 5th. We'll be celebrating our 2nd Anniversary, as we celebrate many things, by going out to a nice dinner. Eating—as well as ministry—are the two things that bonded us most closely together when we were dating. We like to do both of those things as often as we can to keep that bond as strong as possible. We often fail in keeping that bond strong, because we're deeply in need of the Grace that God provides most readily through his Son Jesus Christ. But as we have failed/fallen/been self-ish/you-name-it, we have found that getting through those failures together has increased our bond even more tightly. So as we enter into our third year, we want to proactively push ourselves deeper in our relationship both with each other and with Christ—to whom we give credit for bringing us together. 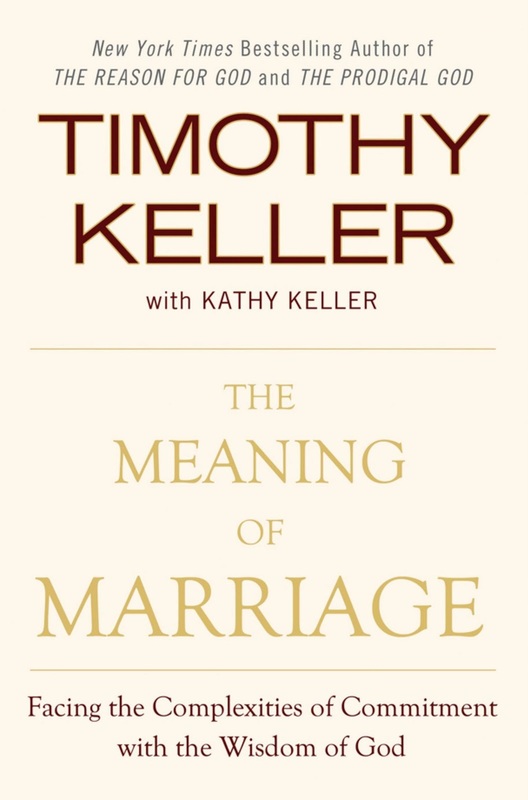 When we were engaged, we listened to Tim Keller's sermon series he did in the early 90s on marriage and now that he has published The Meaning of Marriage, we're going to read through it. Keep that bond strong. Since there are no study questions provided in the book, I'm making up my own and will be posting them here if anyone else is interested in them. I've tried to gear them both for married couples and singles. If you have the opportunity to use them in a small group setting, try to get both married and singles in on the conversation. It would have blessed me to have been around more married couples talking about their marriage when I was single as well as it would behoove me to get around more singles now that I am married. How did you and your spouse meet? What was your "secret thread?" What is the longest marriage you are intimately aware of? Why are they still together? The shortest? Why did it end? If you are married: what do you hope to learn about marriage through reading this book? If you are single: What do you hope to learn about marriage through reading this book? How has marriage compared to your single life? Do you agree with Keller's statement that 3 human institutions stand apart from all others—family, church, and state? What have you understood the purpose of marriage to be? What new ideas, insights are being raised in the introduction? Keller states on p. 13 that the Bible begins and ends with a marriage. What, in your mind, is the significance of this? Keller states that marriage "has been instituted by God and that marriage was designed to be a reflection of the saving love of God for us in Jesus Christ. How have you seen/experienced this? How have you not? Keller states, "the main enemy of marriage [is] sinful self-centeredness. How has your marriage fought this enemy? How have you as a single fought sinful self-centeredness? Keller states that "marriage is…a way for two spiritual friends to help each other on their journey to become the persons God designed them to be." What do you think he means by this? Why is this important for marriage? All The Meaning of Marriage Discussion Questions.